Krita is a free and open source raster graphics editor, generally used by artists. It is designed mainly for digital painting and animation purposes. 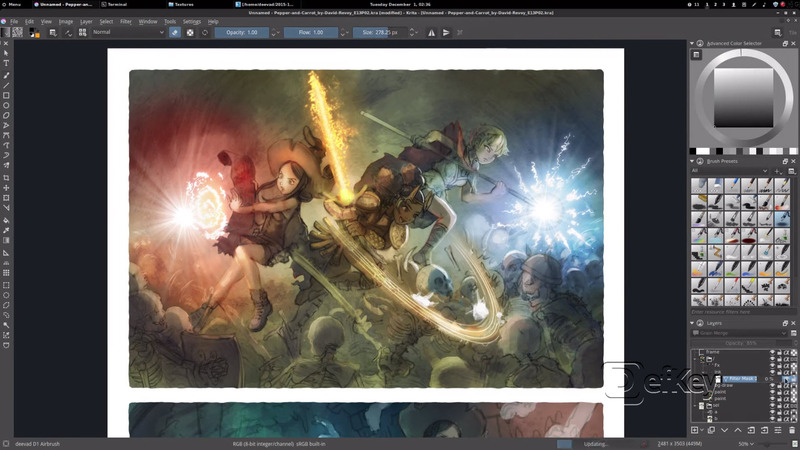 Krita runs in Windows, Linux and macOS. What is your favorite Krita 3.0 hotkey? Do you have any useful tips for program? Let other users know below.